In the case studies below, you’ll learn about a few of our clients, some of the challenges they faced, and how we collaborated with them to develop creative solutions that had a lasting and measurable impact. LeadingAge Indiana Members take The Leadership Challenge®. A national healthcare leader builds a stronger leadership pipeline with a customized approach to leadership development. A multifaceted leadership program designed to transform a university. FlashPoint transitioned the executive team—under the direction of a new CEO and strategic plan—to increase its performance and set a new standard for effective leadership within the organization. Our client, Ascension Ministry Service Center grew to a head-spinning degree in a very short period of time, in all the best ways. See how they created a firm foundation for leaders to excel and flourish through growth. Vera Bradley partnered with FlashPoint to build a leadership program designed to develop leaders who will shape the Vera Bradley brand for the future. 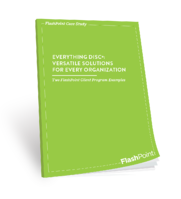 If you're seeking to understand how Everything DiSC® can contribute to your organization's effectiveness, this multi-client case study shows a few options for what Everything DiSC® can do. 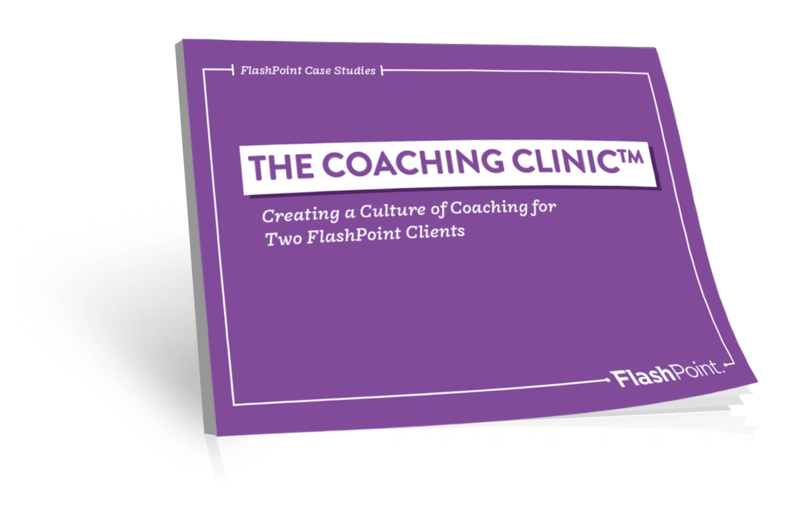 Coaching is on the rise, and this multi-client case study exhibits how FlashPoint guides managers through The Coaching ClinicTM to develop accountability and achieve great results.